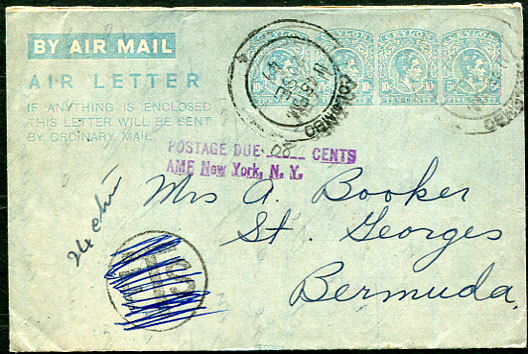 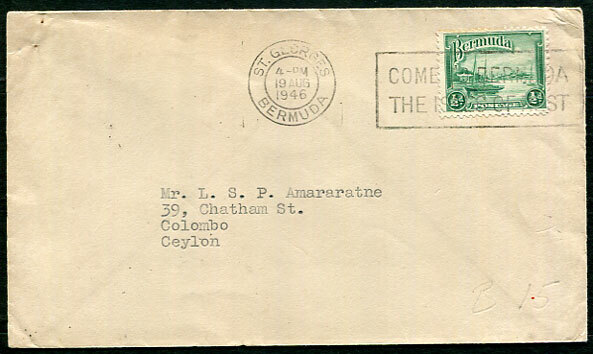 1946 (AU 19) cover with KG6 ½d pmk'd St. Georges to Colombo, Ceylon, no backstamps. 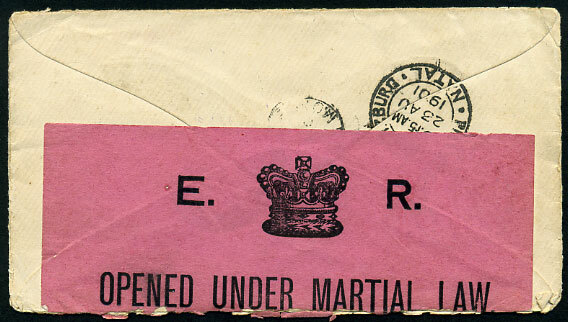 (M.4.2) in violet dated A/AU -- 10 (for A/AU 10 01) on QV 1d rate cover to Diyatalawa, reverse E.(crown)R. (KE7) OPENED UNDER MARTIAL LAW label. 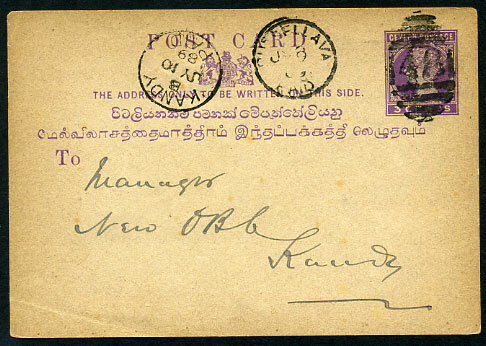 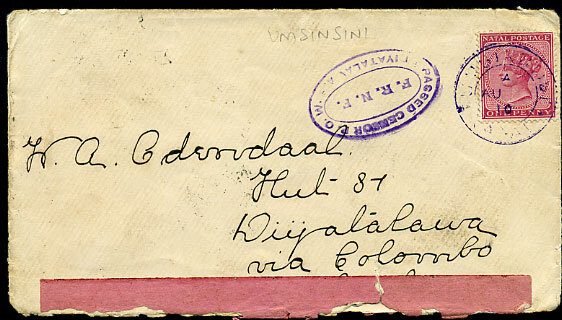 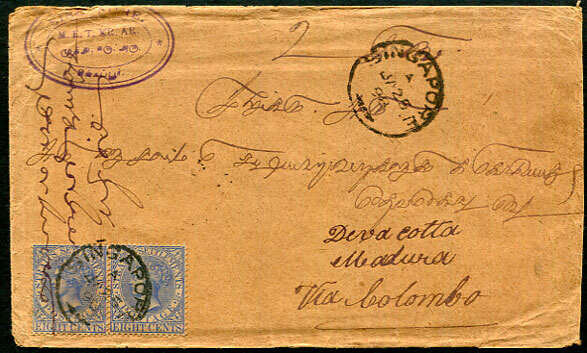 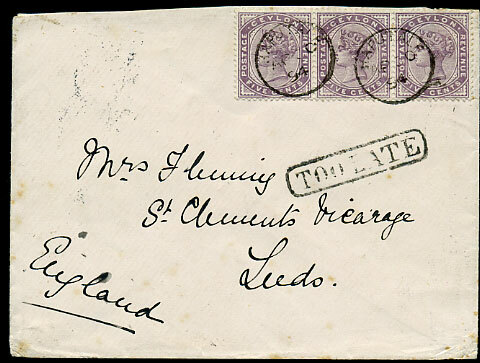 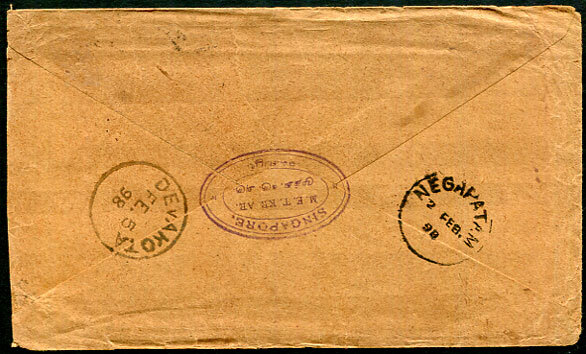 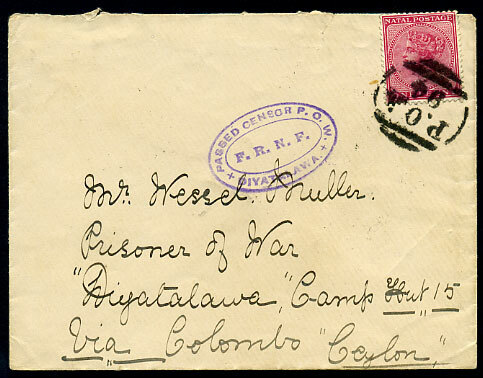 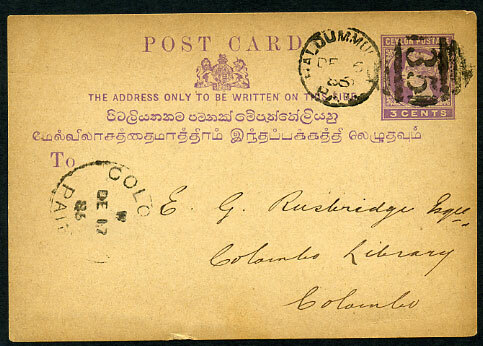 on QV 1d rate cover to Diyatalawa Camp, Ceylon, b/stamped FE 15 02 arrival. 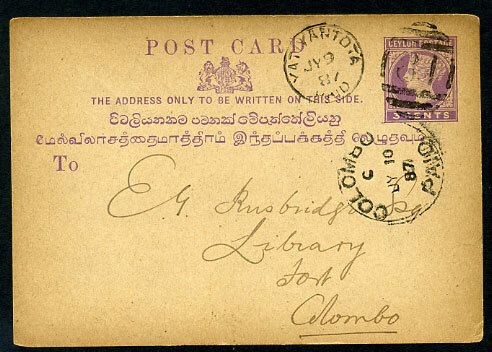 FE 2 89 on QV 3c Post Card. 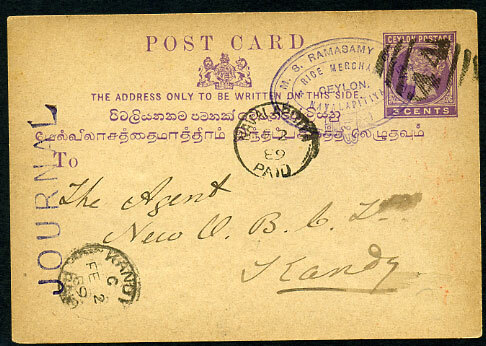 JA 17 93 on QV 3c Post Card, some reverse soiling. 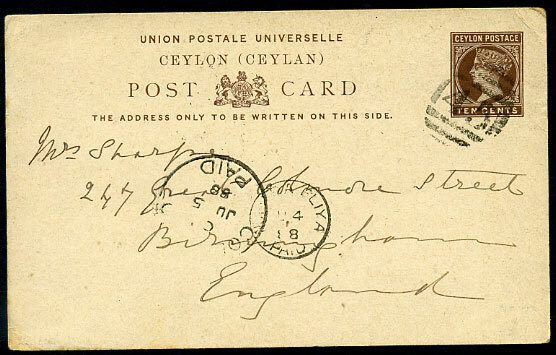 JY 9 89 on QV 3c Post Card. 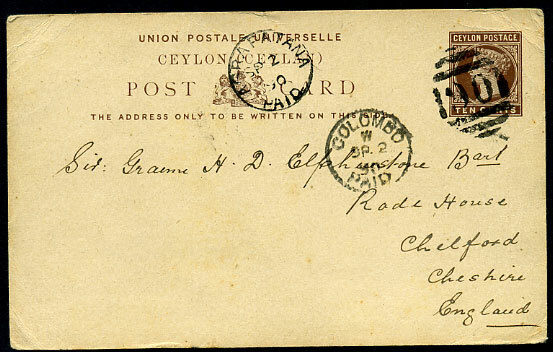 JY 9 87 on QV 3c Post Card. 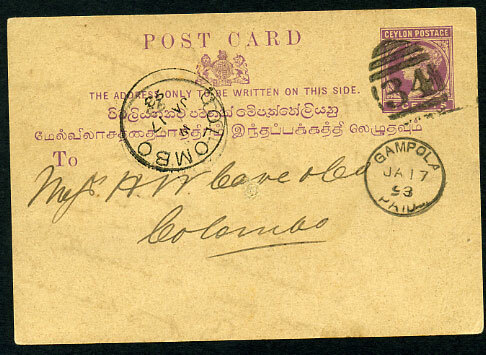 JU 4 88 on QV 10c Post Card. 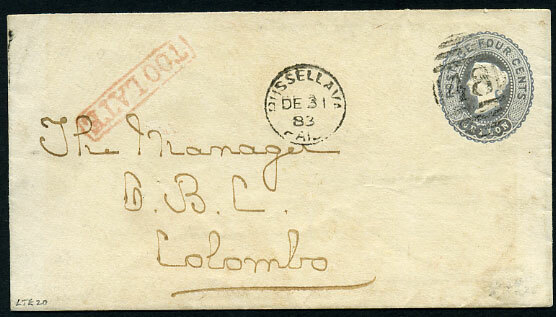 DE 6 86 on QV 3c Post Card. 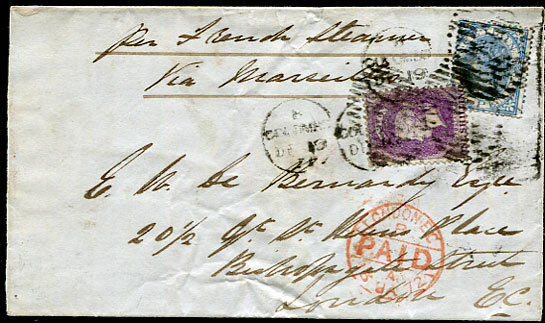 SP 2 90 on QV 10c UPU Post Card.